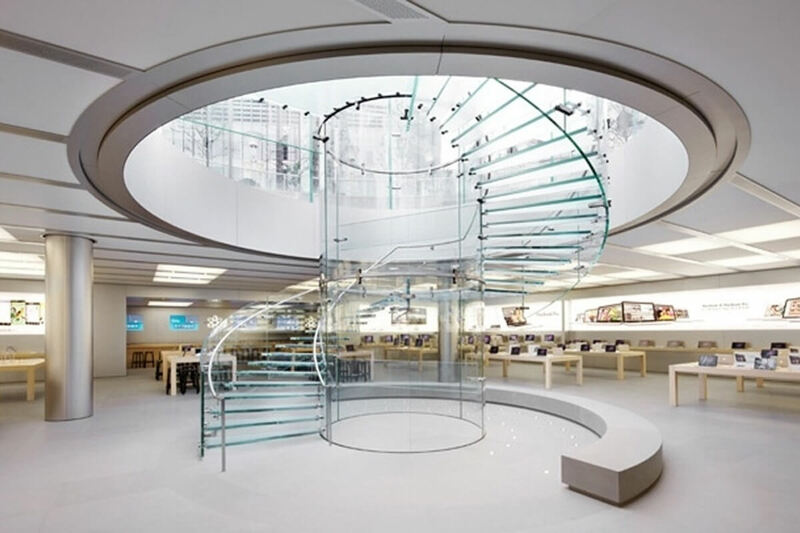 Stairs are a necessary and practically important element of any building. Indeed, there is always a need to move between floors, regardless of the purpose of the room. However, by themselves, the stairs occupy a lot of space, which is especially noticeable in conditions of a small amount of space. The free space of premises decreases not only in fact but also visually. But this problem is not so difficult to solve. 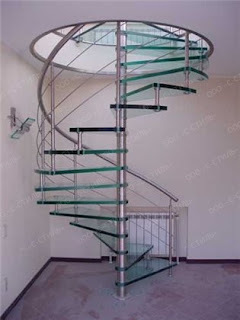 Glass stairs will favorably differ from a similar product made of another material because of its transparency. Therefore it can make a visual increase in the space of the room. In addition, such material will not interfere with the penetration of light, which may even save you electricity. 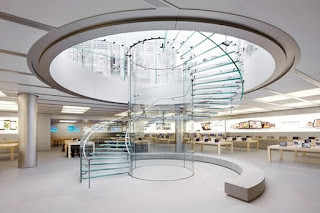 When using straight staircase you can practically use the area under it. The glass above will not be depressing, as opposed to opaque materials. It is also possible to put some decorations under such a staircase (flower arrangements, fountains or even a Christmas tree during the winter holidays). They will be visible not only from the outside but also through the stairs, which will raise the mood during the ascent and descent. 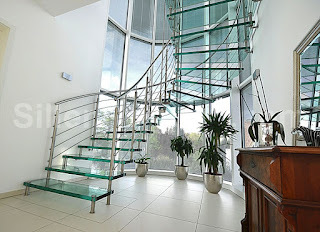 Any of glass products always look beautiful when being specially lit - and the stairs are not an exception to this rule. Colorful lights will create a sense of magic, which will be felt particularly strongly in the evening. Also, this material can be decorated with various patterns in any desired way (using carving, print, etc.) For example, companies often portray their logo to underline the solidity of their organization. It is also possible to place some objects inside the steps and thereby create a durable composition. 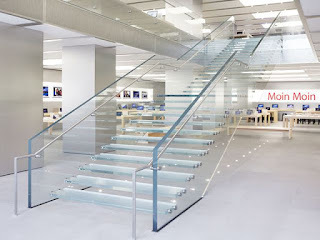 Such stairs are made of multilayered laminated glass. This provides the strength of the glass and the protection against breakage. The special coating makes the surface of the glass non-slip in order to ensure the safety and comfort of travel. An important advantage is also the ease and practicality of caring for such a product. 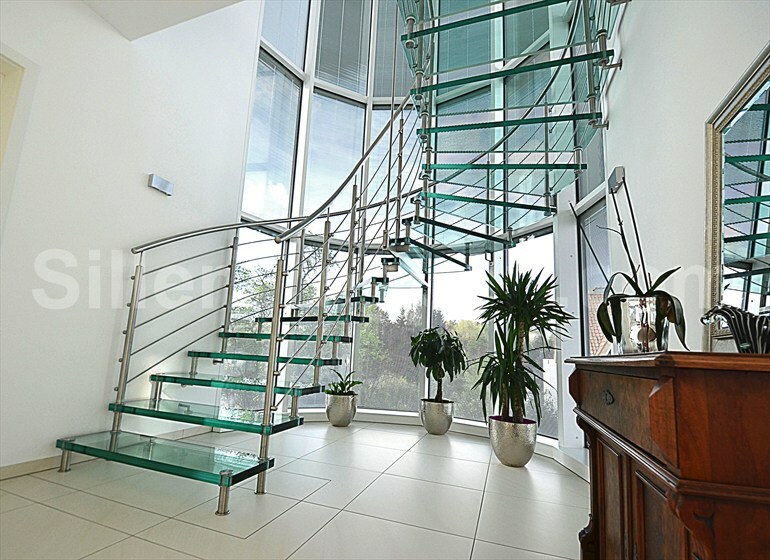 Glass stairs are not limited in forms and designs. 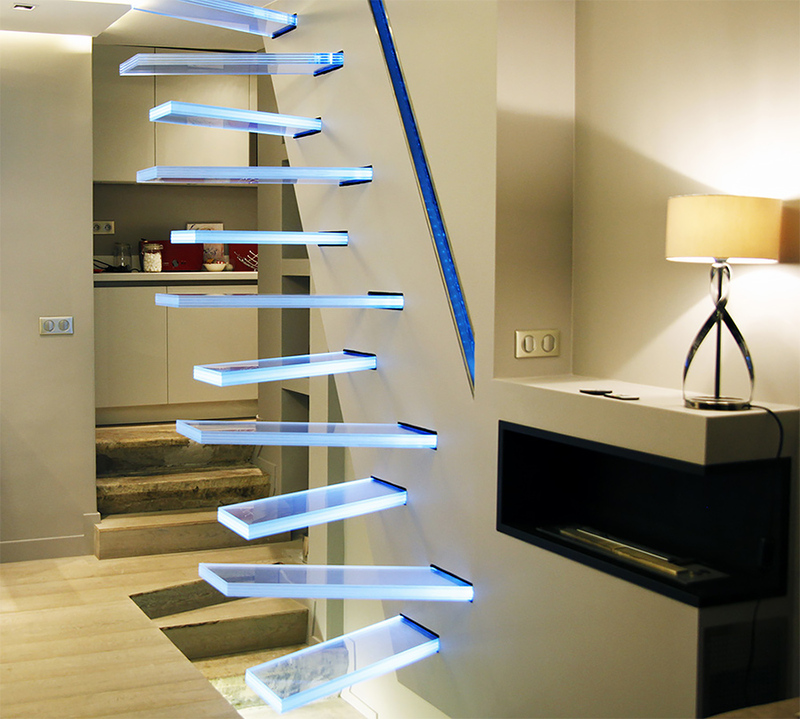 For small rooms, a screw-type staircase will be the ideal solution. This form not only considerably saves the space but it also provides the refinement of the hole office or apartment. If you have an unrivaled taste and overwhelming love for originality and beauty, then, perhaps, the staircase of any unique form, made specifically for you, according to your taste and preference, will become the ideal choice for you. So unleash your imagination. Non-standard stairs can distinguish the office of the company among others or just become a cozy home decoration. Also, this is a great advertisement, because the first thing a person feels when looking at a beautiful staircase is the desire to walk along it. 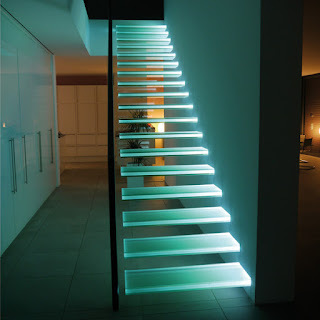 It is worth putting such stairs at the entrance, so people will come more often and with great mood.